Meet Mr. Guaran-T; Hotel Indigo and EVEN Hotels open flagship properties; and Marriott and Starwood break ground on their first dual-branded property (that didn’t take long). Here are the latest property updates! Starwood Hotels & Resorts Worldwide announced the designation of two new Sheraton Grand properties, Sheraton Phoenix Downtown Hotel and the Sheraton Chicago Hotel and Towers. Now dubbed thee’d Sheraton Grand Phoenix and Sheraton Grand Chicago, the resorts offer upscale amenities and unparalleled service, like the “Distinct American Kitchen and Wine Bar” and the rooftop “Breezes Bar” in Phoenix and the city’s largest hotel ballroom and more than 40,000 square feet of meeting space in Chicago. The Luxury Collection announced The St. Anthony, A Luxury Collection Hotel, San Antonio will undergo a multi-million dollar renovation project to enhance accommodations, refresh public spaces, and add new dining venues. The project will take two years to complete on the historic hotel, which was originally built in 1901. The property was Texas’ first luxury accommodations. The Tribute Portfolio added The Kioro, A Tribute Portfolio Hotel, Hokkaido to its growing brand this week. The 282-room hotel will undergo a renovation to all public spaces and guestrooms at the end of the current ski season and plans to finish all upgrades by September 2016. Singapore gets its very own Four Points, scheduled to open by the end of 2016. Four Points Singapore, Riverview will be a conversion property (formerly Riverview Hotel) and is located by the Singapore River, within close proximity of the central business district. Aloft heads Shanghai—or it will be. Slated to open in 2018, Aloft Shanghai Nanxiang will be located in the Jiading district with 210 loft-inspired guestrooms and free Wi-Fi. 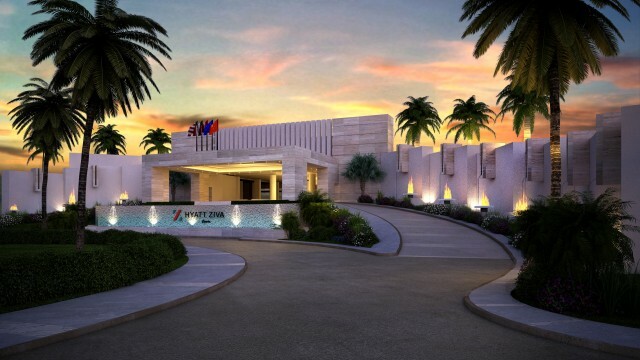 Hyatt Ziva Cancun opened its doors on pristine Punta Cancun after an $85 million expansion and renovation project. The all-inclusive, family-friendly resort offers 547 suites, private butler service, complimentary in-room refreshment bars, the exclusive Hyatt Club Level, The Spa with a signature hydrotherapy area facing the Caribbean Sea, and more than 11,000-square-feet of meeting area. Hyatt announced the opening of Hyatt Place Cleveland/Westlake/Crocker Park (that is one property) in Westlake, Ohio but near the Cleveland metropolitan distraction with 110 guestrooms and free Wi-Fi; the opening of the duel branded Hyatt Place Denver/Downtown and Hyatt House Denver/Downtown with free Wi-Fi in both hotels and located near the Colorado Convention Center; and Hyatt House New Orleans/Downtown with 194-rooms occupying seven floors and located near the Mercedes-Benz Superdome, the French Quarter, and the Mississippi Riverfront. Travel Weekly reports that The Cosmopolitan of Las Vegas opened 46 luxury art-themed suites, including 15 executive suites and 31 city studios, all featuring works from Artspace. The executive suites feature a six-seat conference table, a living area, two bathrooms, and a king-sized bedroom. The slightly smaller studios feature oversized living rooms, a sleeping area with a king-sized bed, and views of The Strip or mountains. InterContinental Hotels Group (IHG) announced the opening of its new flagship hotel, Hotel Indigo Lower East Side New York. The 293-room hotel boasts a 14th floor lobby with unobstructed city views through floor-to-ceiling windows; a 15th floor terrace with 360-degree views of Manhattan; and a duplex penthouse loft on the 25th and 26th floors. Located 20 minutes away from downtown Atlanta, Hotel Indigo Atlanta-Vinings opened this week with a whisky distillery theme. The hotel bars houses spirits from local distillers, like American Spirit Whiskey and Old Fourth Ward, and guestrooms will have a residential feel with plush bedding, hard-surface flooring with area rugs, and spa-inspired bathrooms. Announced as a new-build property this week, Hotel Indigo London — Aldgate will be opening in 2017 along Leman Street and Aldgate East, near Canary Wharf, the City of London, and Liverpool Street. IHG’s new lifestyle brand, EVEN Hotels, opened its third property, its first in New York, and its flagship hotel this week in the heart of Midtown Manhattan. EVEN Hotels New York — Time Square offers rainfall showers, color LED mood lighting, and eucalyptus fiber linens in all rooms. IHG signed an agreement the new 160-room Crowne Plaza Sydney Darling Harbour, near the Sydney International Convention Centre and the Darling Quarter. The hotel is slated to open in 2019. Travel Weekly reports that construction began on the first Marriott/Starwood dual-branded property. The property, which will include an AC and Le Meridien, broke ground in Denver this week and will have 495 rooms combined and occupy a 19-floor building. Fairfield Inn & Suites helps to make Mr. T into “Mr. Guaran-T” in a web series to personify Fairfield’s 100% Guarantee. Watch the first video below and see the entire series on Fairfield’s YouTube page. Ritz-Carlton is developing two new properties in the Asia Pacific, The Ritz-Carlton, Koh Samui in the Plai Laem region of Thailand and The Ritz-Carlton Reserve at Niseko Village in Japan. Located in Chaoeng Mong area, The Ritz-Carlton, Koh Samui will offer 187 luxury guestrooms and pool villas along golden sand beaches while The Ritz-Carlton Reserve at Niseko Village will be located by the largest ski resort in Japan, which is also revered as one of the world’s best, and will feature 50 ski-in and ski-out guest rooms. The Habitation Jouissant, a boutique hotel in Cap Haitien, Haiti will become a member of The Autograph Collection by the fourth quarter of 2017. The resort will first undergo a complete overhaul of its 87 guestrooms and 13 suites, and will add a new presidential suite, two restaurants, two pools, and more. The property served as a private residence when built in 1959 before being converted into a bed and breakfast in 2011. Travel Pulse reports that SeaWorld Entertainment has signed a letter of intent with Evan Hotels Group to discuss developing a branded resort hotel at the San Diego park. There is no definite plans as of yet to build a hotel, but a several hundred room hotel has been in SeaWorld’s plans for years.